Will Nest help Google succeed where it previously failed in home energy management? Google couldn't make its own home energy management platform work. So rather than try to invent its way back into the burgeoning market, the internet giant decided to buy its way in. 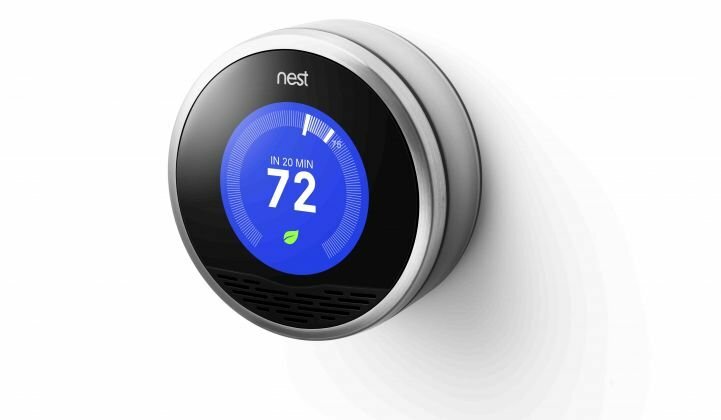 Google just announced that it will buy Nest Labs -- the intelligent thermostat and smoke detector company founded by former Apple engineers -- for $3.2 billion in cash. We've compiled initial reactions from investors, bloggers and consumers here. We recently reported on speculation that Nest was nearing closure of a $150 million financing round that would value the company at $2 billion. Turns out it was a full-on acquisition from Google that values Nest at more than $3 billion. Before starting Nest, Fadell and Rogers were engineers who worked on the iPod and iPhone. They now bring their Apple-influenced design philosophy to Google, which tried unsuccessfully in 2009 to break into the residential energy monitoring sector with its PowerMeter. Rather than produce an overly complicated monitoring system, Nest broke into the market by producing a simple, sleek thermostat that was more attractive to consumers. The strategy paid off. Nest has been shipping tens of thousands of thermostats each month and recently released a new smoke detector based on the same learning algorithms. GTM President Rick Thompson commented on the Google acquisition: "This is a highly impressive exit. I've got to believe they have a lot more up their sleeve that the public isn't aware of to warrant such a valuation. I'm hoping this turns out to be a good pairing and looking forward to what this can mean for the nascent but growing connected home market at the grid edge." The partnership will create plenty of channels for Nest, which will now be able to beef up its engineering team and use Google's reach to sell and monitor its products in new ways. Google has also been toying with its Android @Home concept to connect smart devices onto an internet-of-things platform. But it hasn't publicly announced much since the idea was first announced two years ago. Nest's products may add some muscle to that effort. Nest will operate as its own brand after the acquisition is finalized "in the next few months," according to Google. We'll have more on the story as details emerge. According to GTM Research, the home energy management market was valued at $1.5 billion in 2013. That includes hardware, software, subscriptions and residential demand response programs. This decision wasn’t made on a whim – Google has been in the mix in some way or another for about three years of our almost four-year history. In fact, my first meeting with Google as a Nester was before we’d launched. At the 2011 TED Conference, Erik Charlton and I huddled in a corner with Sergey Brin to show him a video and an early model of the Nest Learning Thermostat – he instantly got what we were doing and so did the rest of the Google team when we showed them. In May 2011, Google Ventures led our Series B round of financing, and in 2012, Series C. Time and time again, Googlers have shown themselves to be incredibly like-minded, supportive and as big of dreamers as we are. I know that joining Google will be an easy transition because we’re partnering with a company that gets what we do and who we are at Nest –and wants us to stay that way.